Timeless transitional style begins the moment you walk up to the Chalet. Be prepared to be impressed by soaring ceilings, oversized mud room and upstairs laundry ideal for family! The spacious rooms, and separate front study add luxury at every turn. Millstone Homes offers true custom homebuilding, this concept might have been built in very different variations. 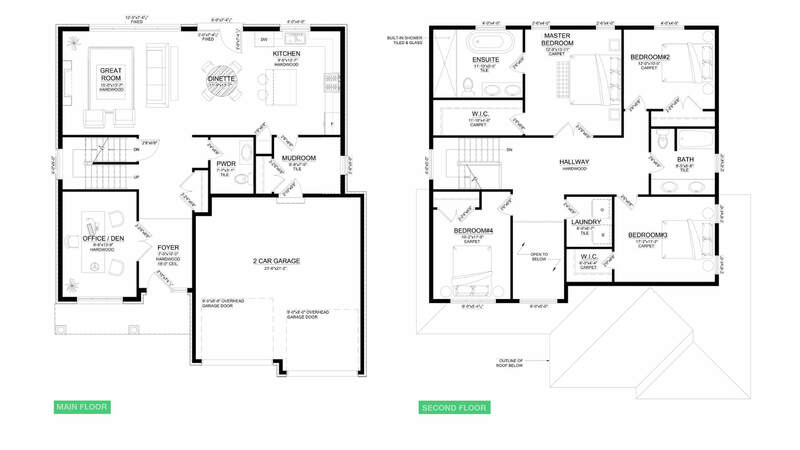 Unlike anywhere else – we don’t give you a house plan and nish packages to “upgrade”. You work with our designer to conceptualize your dream home from start to nish, regardless if it’s our entry budget Oak. Series or our most exotic homes.